Huawei has introduced Y9 2019 smartphone. It has a 6.5-inch Full HD+ display with a narrow chin and high screen-to-body ratio powered by Kirin 710 processor with 4GB of RAM, 64GB of internal storage and 6GB RAM, 128GB internal storage. Dual SIM device runs Android 8.1 (Oreo) with EMUI 8.2. 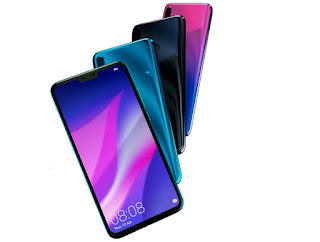 On Camera, it has a 16-megapixel rear camera with LED flash, and a 2-megapixel secondary camera to capture depth information in portrait shots and a 13-megapixel front camera along with a 2-megapixel front camera for portrait selfies, and both have AI photography features. It has a fingerprint sensor on the back that can unlock in 0.3 seconds, fingerprint navigation, which helps users manage all the notifications with one key. Packed by a 4000mAh battery with support for fast charging. Huawei Y9 2019 comes in Midnight Black, Blue Swarovski, and Aurora Purple colors and will go on sale mid-October. It will launch in China as Huawei Enjoy 9 Plus.